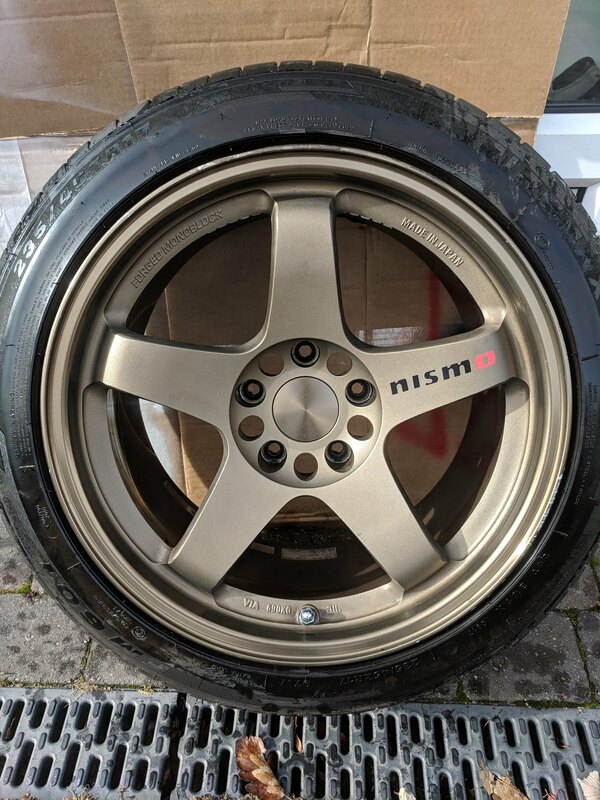 I have a set of Rays Nismo LMGT4s for sale. 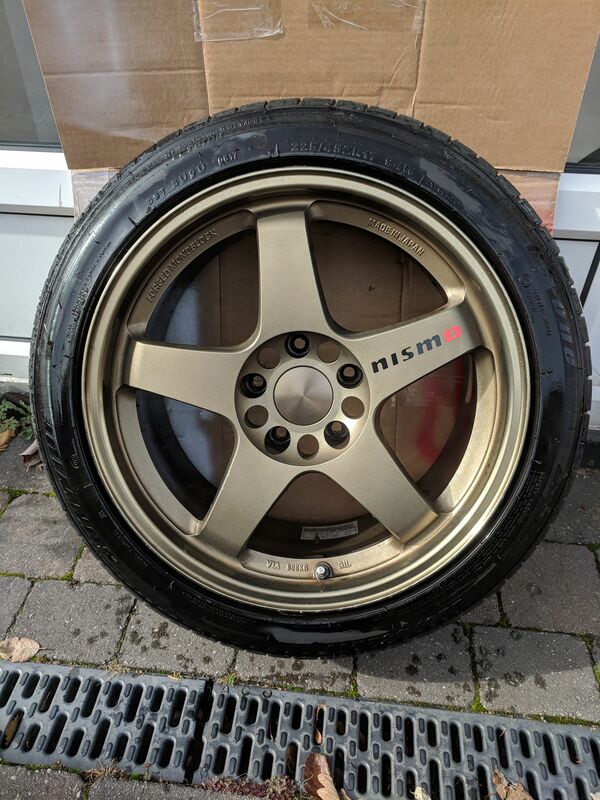 The fronts are 17x8.5+30 with 225/45R17 tyres and the rears are 17x9+22 with 235/45R17 tyres. 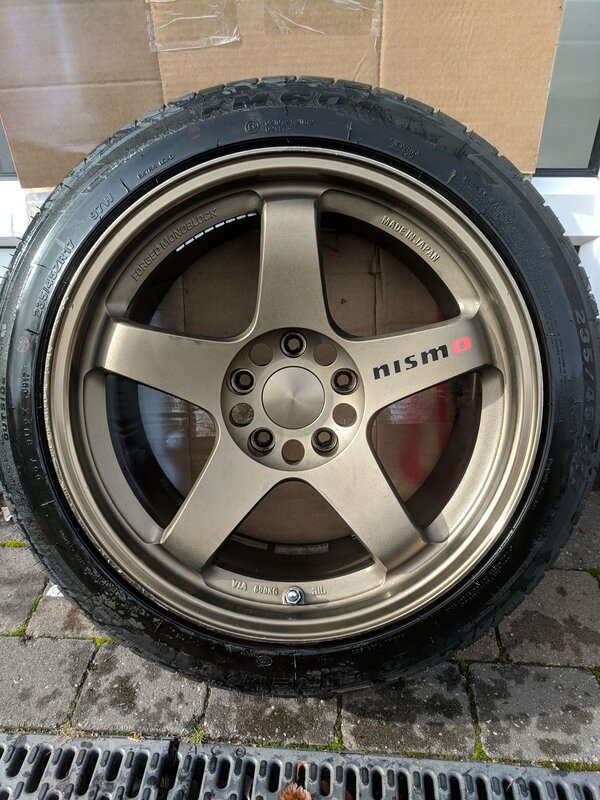 All 4 wheels are in reasonably good condition, with no buckles or cracks, although all 4 have some kerb rash around the lips, and would benefit from a refurbishment, which i never got around to. 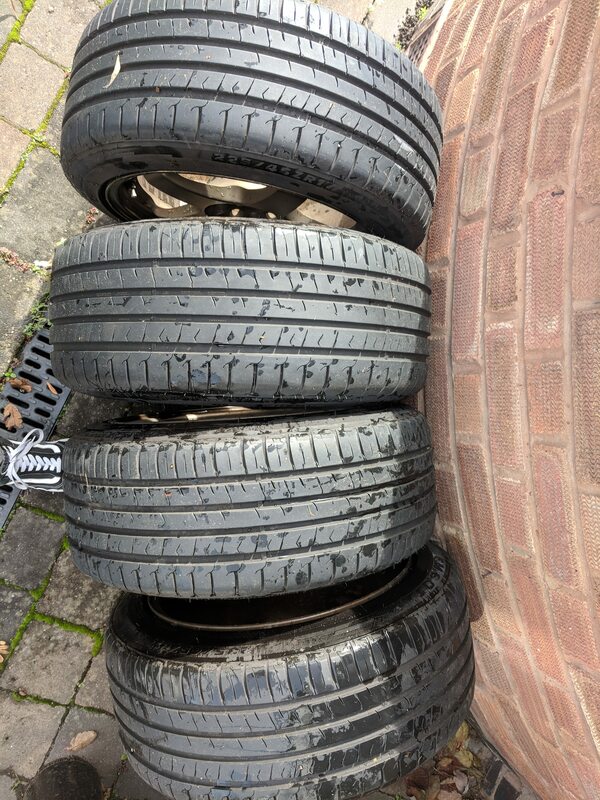 The tyres all have a decent amount of tread left and all hold air well. 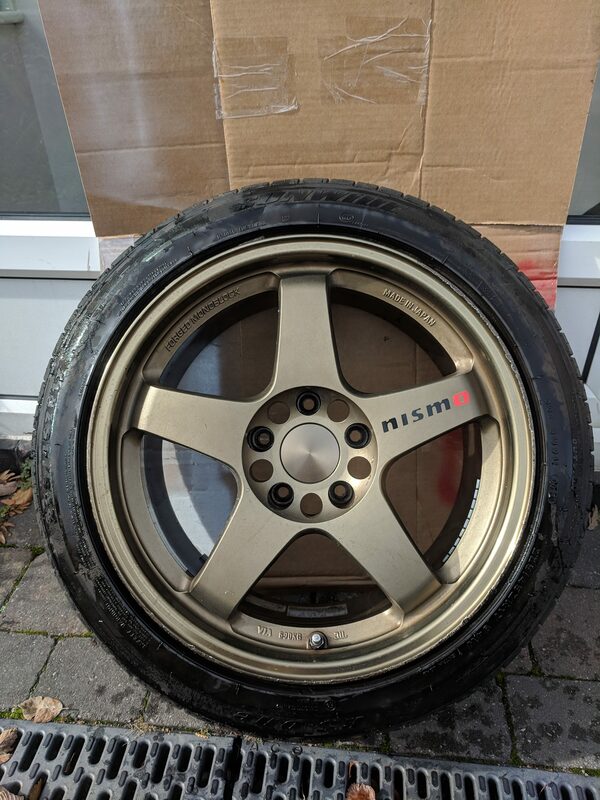 I'd like £1000 for them, but I'm open to sensible offers. Are these still for sale at all ?